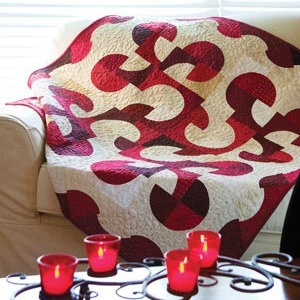 This quilt is based on the Drunkards Path block, a block I had avoided using in a quilt due to its curves. 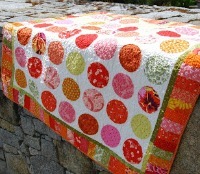 When browsing through Pinterest I came across an inspiring quilt 'Running in Circles' by Amandajean of Sew Mama Sew and shown below. 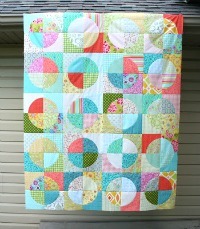 Amandajean posted a great tutorial showing how she made her quilt including Elisa's Backporch 7" templates. 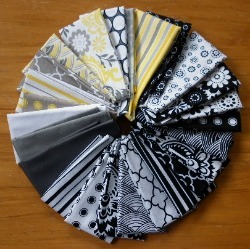 I became quite excited at finally seeing the possibility of making a circle quilt. 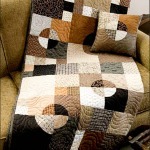 I used this tutorial as the basis for making my circle quilt. 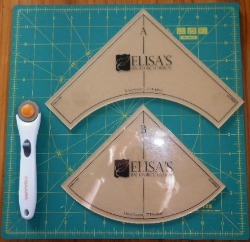 It's always a lot easier to use the correct tools to make your circle quilt. I've tried making my own templates in the past and it was a disaster. 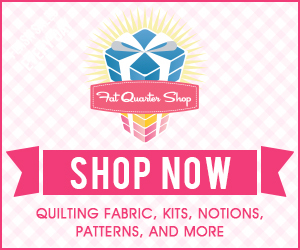 So here are the 3 quilting tools I used to make my quilt top in the least stressful way possible! and some complimentary ones from my stash. I must have bought these at least a year ago as they are not as easy to find now - as I found out when I needed extra for my borders & binding. Using Amandajeans tutorial I made up 99 blocks and arranged them in a 9 x 11 design on my bed - not my usual place by choice. My wee grand daughter was coming over and she loves walking over my quilts when they are on the floor and she also loves to help rearrange the blocks!! Below is my layout so far. 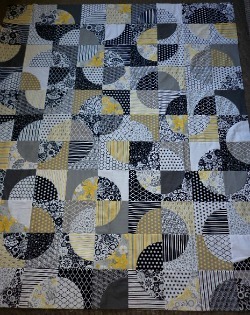 With help from my daughter we managed to rearrange the blocks so that your eye dances around the circles following all the pathways that the contrasting fabrics make. 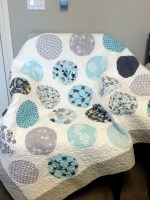 I've ordered a bit more fabric to add 2 borders on. 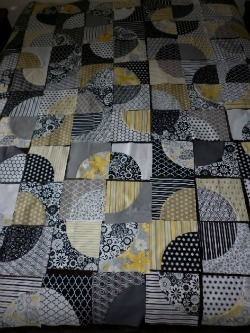 The first will be a narrow yellow border followed by a grey border and binding. 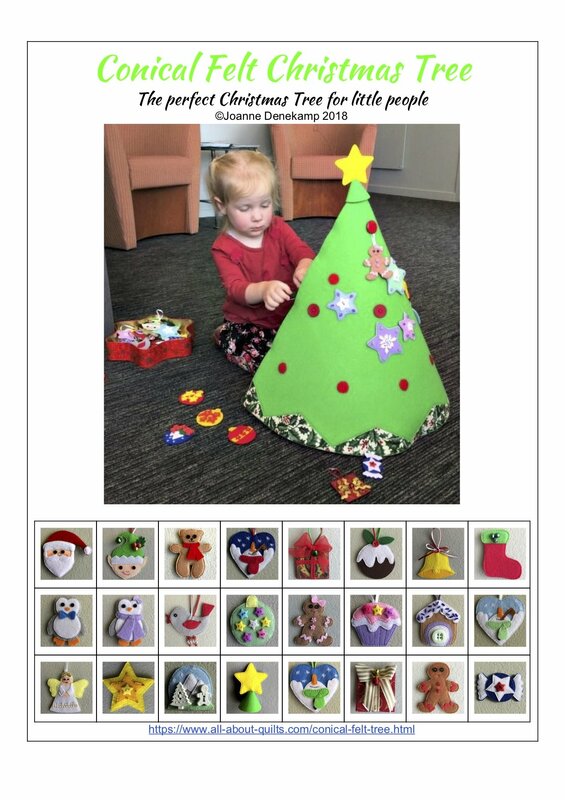 I think this template set would be great to use when I next make a babies quilt.